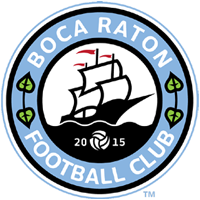 BOCA RATON, FL – On Saturday, March 28, Boca Raton Football Club held an invitation-only tryout to players hand-picked by the coaching staff ahead of the 2015 American Premier Soccer League Season. Youth and professional talent alike came together in order to suit up for their hometown team. Trialists are still being looked at by coach Castillo and his staff, and with the open tryout coming on April 11, the coaching staff will have their work cut out for them these next few weeks as they get ready to field the 25-man roster by their home opener on May 2nd. Castillo will be looking to identify male soccer talent at the open tryouts, with a possible spot on the Boca Raton FC 2015 squad roster at stake. Male hopefuls interested in attending the Open Tryout must pre-register by clicking here. The registration fee to participate in the tryout will be $25 per player, and must be made online during the registration process. Spaces at the open tryouts will be limited and by pre-registration only. Early registration is encouraged. Photos can be viewed in our facebook gallery.